Y'all know how I feel about nail polish- I'm addicted and Essie is quickly becoming one of my top picked brands. Somehow I always find myself scouring the polish isle in Target and one of these bottles always finds it's way into my basket. I am loving the new Spring 2013 collection. So far I have gotten Madison Ave-Hue and Go Ginza and love them both! I'm thinking my next purchase will be Hip-Anema, it's such a bright fun pop of color! Do any of y'all have colors from the Spring 2013 collection or plan on buying some..if so which ones? Those are all so cute! I love Essie! I am seriously in love with ALL of these! I have avenue maintain on RIGHT now. It is darker dry than in the bottle. 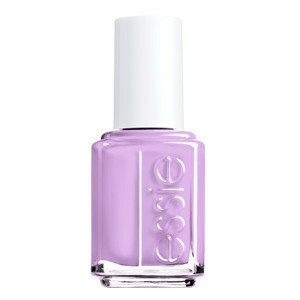 I love Essie, but haven't tried any of the spring colors yet. I really like Madison Ave Hue!! I love Avenue Maintain, but I'm not sure I'm brave enough to wear it! I have Madison Avenhue and love it! Its so bright with just a hint of sparkle - very girly and fun. so cute! love Essie! I love Madison Ave Hue and Avenue Maintain! love them! I love my sensationail get kit but I wish Essie would make one! that Madison Avenue Hue is gorgeous! I love a pink polish in the summer. I love the Madison Avenue hue! I was just on Madison this weekend at that color personifies it so well! I'm an Essie addict. They make the best colors! So many new ones I want to try for spring. why would you do this to me!? hehe :) I want them aLL! !